Background/Purpose: Systemic JIA (sJIA) is a childhood inflammatory disease whose pathophysiology is poorly understood. sJIA is phenotypically heterogeneous with variable manifestations and responses to treatment. Until recently genetic investigations of sJIA have consisted of candidate gene studies in small patient collections. These studies found only modest associations, yet these associations are regularly included in discussions of sJIA pathophysiology. Therefore we examined the 11 sJIA candidate susceptibility loci in the INCHARGE Consortium collection, the largest sJIA study population assembled to date. Methods: Single nucleotide polymorphism (SNP) genotypes within the IL1A/B, GLI2, IL1RN/PSD4, IL1R2, IL10/20, IL6, MVK, CCR5, MIF, SLC26A2 and TAPBP loci were extracted from the INCHARGE dataset (701 sJIA, 6947 controls). Logistic regression was performed in 9 case-control strata and association results were meta-analyzed. SNPs were pruned for linkage disequilibrium (LD) to determine the number of independent SNPs and define the study’s significance threshold. The effect of sJIA associated SNPs on gene expression was evaluated in paired whole genome (WGS) and RNA sequencing (RNAseq) data from lymphoblastoid cell lines (LCL) of 373 European 1000 Genomes Project subjects. The relative difference in gene expression between genotypes was evaluated with the Kruskal Wallis test. The relationship between sJIA-associated SNPs and response to interleukin-1 (IL-1) directed treatment was evaluated in 38 US patients for whom treatment response data were available. Results: We examined the 26 SNPs with reported sJIA associations and did not find even nominal (p<0.05) association of any of these SNPs with sJIA. We expanded the analysis to determine whether the 11 loci containing the 26 SNPs harbored any sJIA risk SNPs. We examined 5479 SNPs from the 11 candidate regions, among which 500 SNPs were independent (r2<0.5). This defined the study’s significance threshold as p<1E-4. Association meta-analysis revealed only one significant association among the 11 candidate loci, the promoter region of IL1RN, where 3 SNPs showed significant association. The top 7 SNPs were in strong LD and resided on a common haplotype. Analysis of LCL data showed that the associated SNPs correlate with IL1RN expression, with an inverse correlation between sJIA risk and IL1RN expression. Importantly, the presence of homozygous IL1RN high expression alleles correlated strongly with non-response to IL-1 directed therapy (p=9.8E-4, OR 17.3 [2.8, 108.1]). Conclusion: IL1RN was the only candidate locus associated with sJIA in our study. The implicated SNPs are among the strongest known determinants of IL1RN and IL1RA levels, linking low expression with increased sJIA risk. Although high expression alleles were protective against sJIA, patients with 2 high expression alleles were significantly less likely to respond to IL-1 directed therapy than those with 1 or 2 low expression alleles. Despite the fact that exogenously administered IL1RA (anakinra) ameliorates or reduces inflammation in some sJIA patients, this is the first report to link sJIA risk and response to IL-1 directed therapy with genetically determined capacity to produce IL1RN or IL1RA. Disclosure: V. Arthur, None; E. Shuldiner, None; A. Hinks, None; T. International Childhood Arthritis Genetics (INCHARGE) Consortium, None; P. Woo, None; W. Thomson, None; E. F. Remmers, None; M. J. Ombrello, None. Arthur V, Shuldiner E, Hinks A, International Childhood Arthritis Genetics (INCHARGE) Consortium T, Woo P, Thomson W, Remmers EF, Ombrello MJ. Examination of Reported Risk Loci from Candidate Gene Studies of Systemic Juvenile Idiopathic Arthritis Identifies Link between IL1RN Variation and both Disease Susceptibility and Response to Interleukin-1 Directed Therapy [abstract]. Arthritis Rheumatol. 2017; 69 (suppl 4). 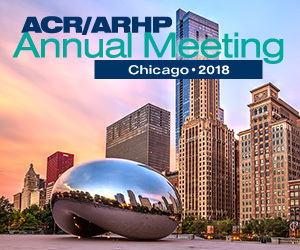 https://acrabstracts.org/abstract/examination-of-reported-risk-loci-from-candidate-gene-studies-of-systemic-juvenile-idiopathic-arthritis-identifies-link-between-il1rn-variation-and-both-disease-susceptibility-and-response-to-int/. Accessed April 18, 2019.